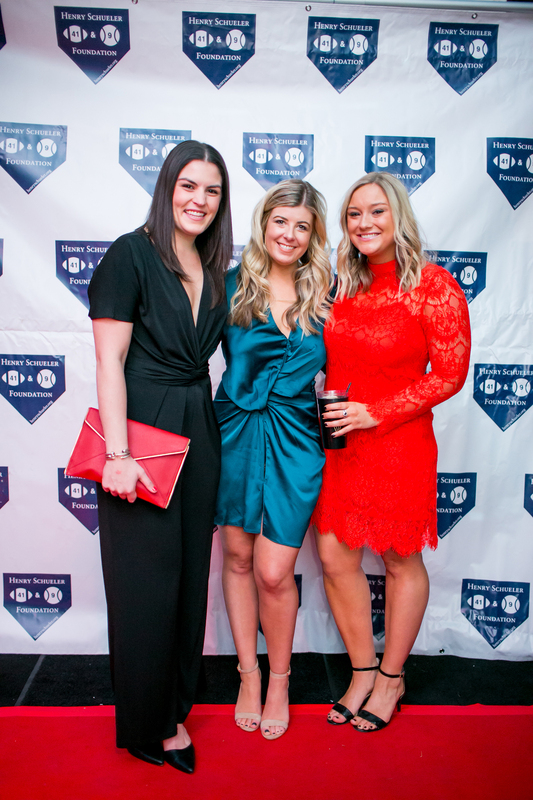 2019 Annual Gala & Casino Night! 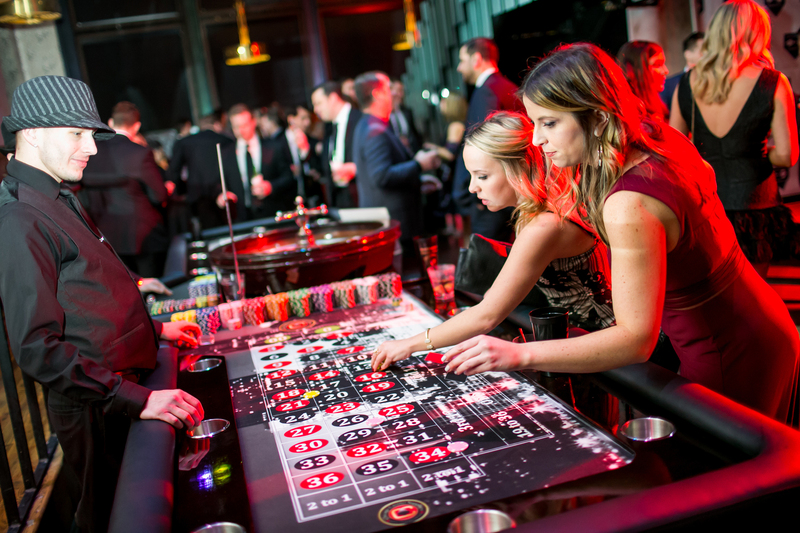 Early-bird registration is now open for our 3rd Annual Gala & Casino Night! 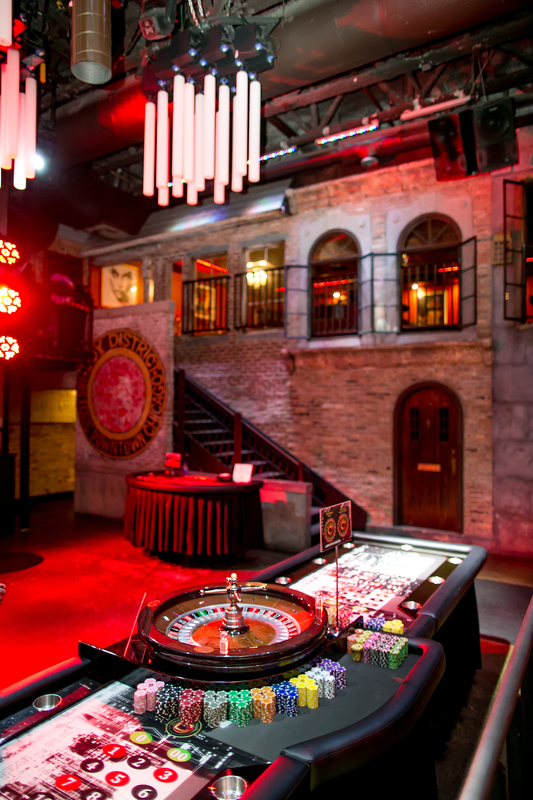 We cordially invite you to join us for an evening of comradery and libations with your fellow Foundation supporters on Saturday, January 19, 2019 at Joy District. 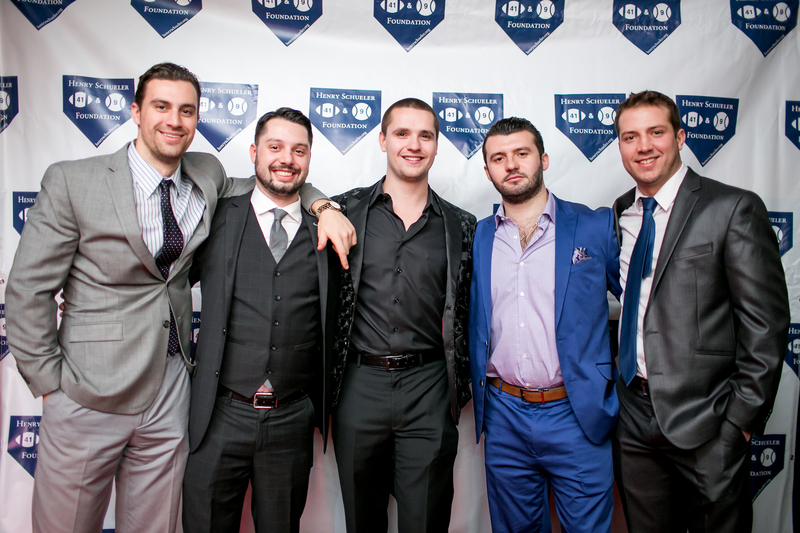 Early bird registration through Thanksgiving is $135 and includes an open bar and appetizers as well as poker chips upon arrival for blackjack, craps, roulette, and more. Ticket price will increase after Thanksgiving. 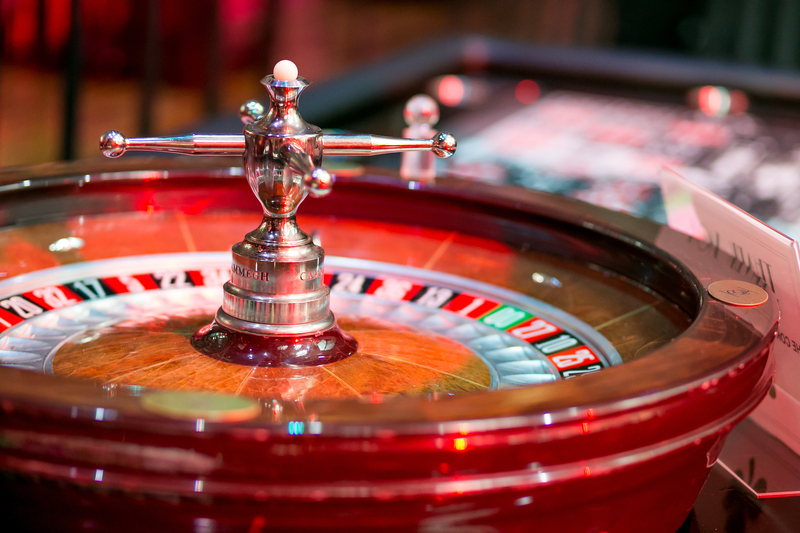 Interested in sponsorship opportunities for our Gala & Casino Night? Learn more by using the buttons below. We have a sponsor level for every budget! 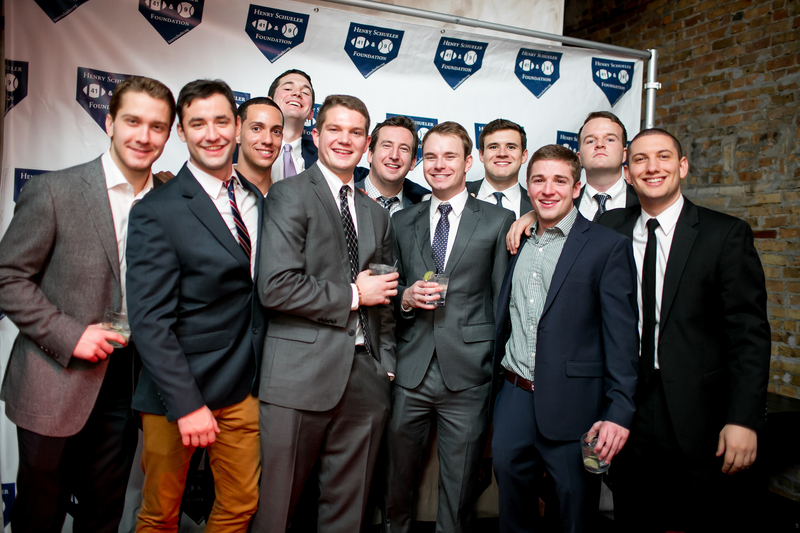 Second Annual Foundation Gala and Casino Night: A Resounding Success! 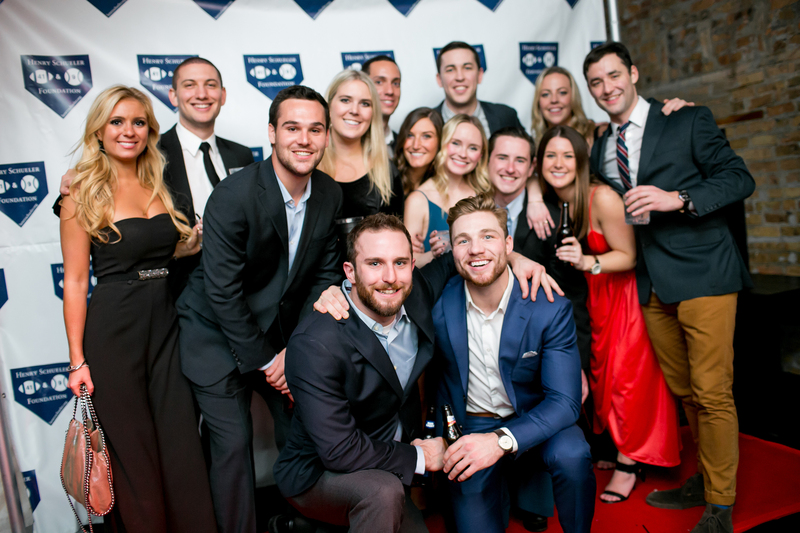 On Saturday night, January 13th, 260 guests gathered at Chicago’s Joy District to support the 2nd Annual Henry Schueler 41 & 9 Foundation Gala and Casino Night. 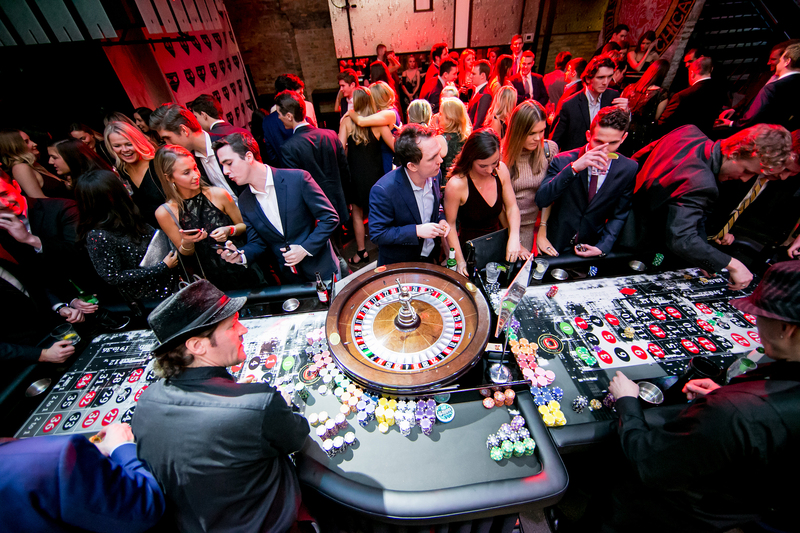 The formal event included a lively night of food, drinks, and gambling, with the night not winding down until nearly 1:00 a.m. Many guests left with great prizes including gift cards, Apple watches, Blackhawks, Bulls and Cubs Tickets. The Foundation would like to recognize and sincerely thank our sponsors, without whom the evening wouldn’t have been such a success. 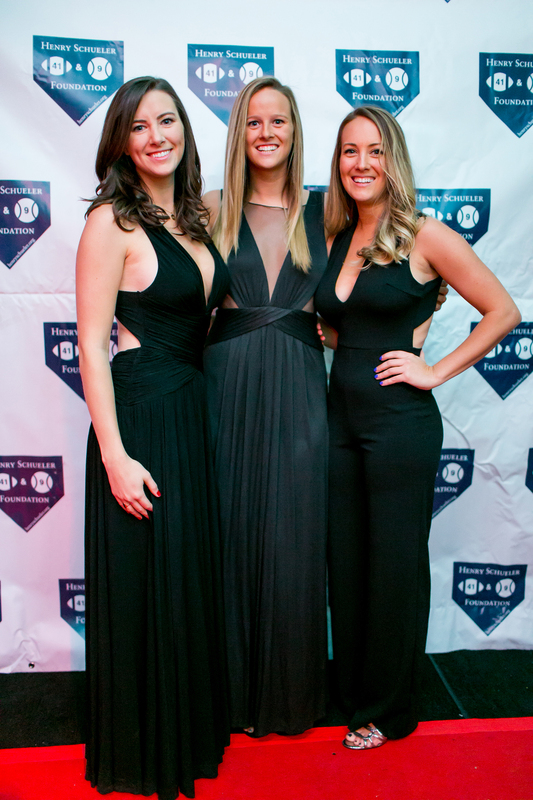 We are also extremely grateful for all our guests and their continued support of the 41 & 9 Foundation. 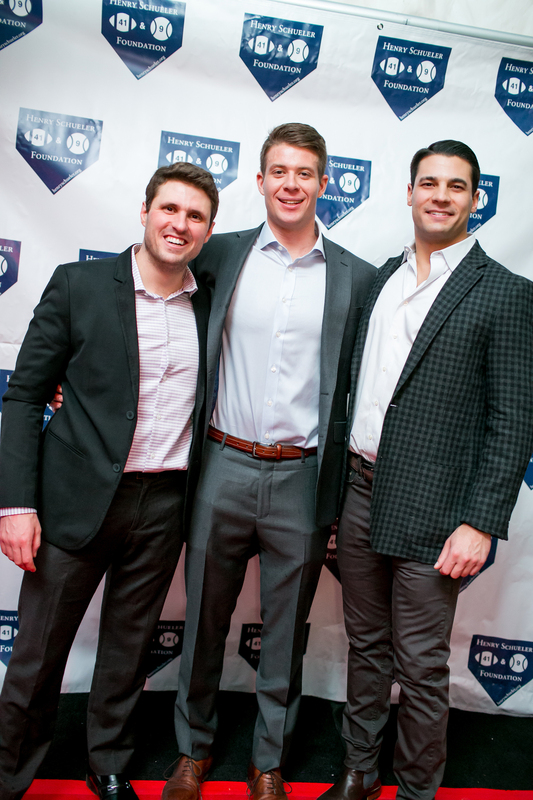 Thanks to you, the event raised approximately $22,000 that will allow us to make an impact toward our mission. 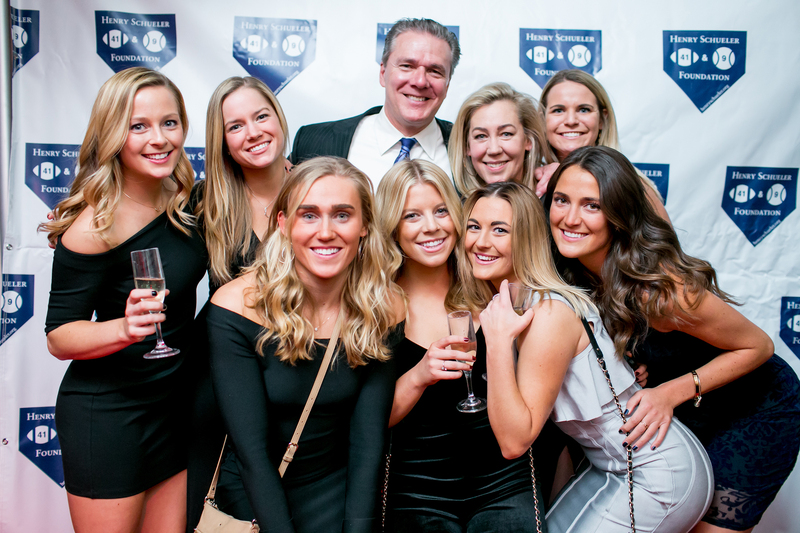 “On behalf of the Schueler Family and the Henry Schueler 41 & 9 Foundation and Board, including Gianna Funkhouser, Sue Foley and Jim Boyle, welcome to the 2nd Annual Foundation Gala and Casino Night. Before I get rolling, I must first single out Gianna Funkhouser and Brendan Garrity who almost singlehandedly put this fabulous night together with Joy District. 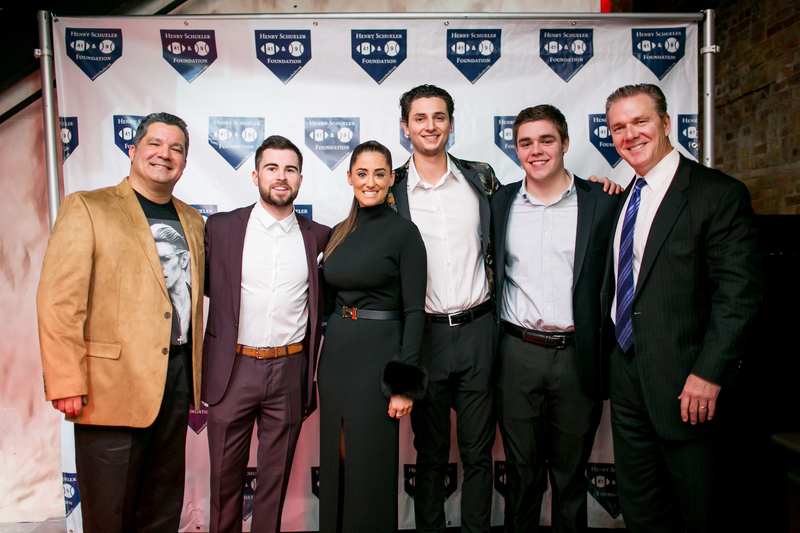 Thank you to Gianna and Brendan for your continued love and support of our family and Foundation, and of Hank. As many of you know, this past December 14th marked the 10th anniversary of Hank’s death. Many of you in this room who knew Henry can probably remember where you were when you heard the news. For most of you it was your first experience with death, certainly the passing of a young friend and peer like Hank. Almost all of you were just middle schoolers or young teenagers then, and his passing likely left you a different, less innocent, person. For many of you Henry was a classmate, or a neighbor or a kid you met in the park, that place where every kid who goes to school on the Northwest side of Chicago seems to gravitate to when you are in 6th and 7th grade. For some others, Hank was a close friend or teammate, the kind of friend or teammate who was funny, who never seemed scared of a situation, and who was certainly never at a loss for words. 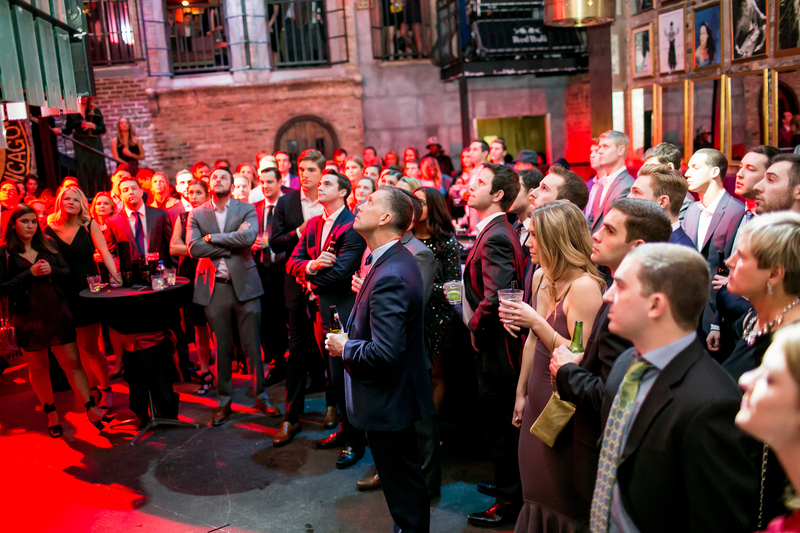 So now you gather again tonight as young adults, some might even say grownups, having finished college and into your working life, for this wonderful event where you can reconnect with so many old friends and new. And despite the fact that many of you never knew Henry, perhaps at the end of the evening this gathering will make you feel like you did. And that is a testament to his life. And so we remember him not with the sadness of his passing, but with the happiness of his life. We were blessed to have him as a child just as we have been blessed to have Anna and Joe. We remember his spirit, his zest for living, his courage and his heroic fight against diseases that no child or adult should have to face. We were and are blessed to have so much support from family and friend–and all of you here tonight–who have enabled us to look as hopefully to the future as we look back in fondness on the past. During Henry’s illness he told his mom, Susan, that he wanted to find out why this happened to him so he could prevent it from happening to other kids. And we are proud to carry forward Hank’s living wish to find out why this happened to him, and to help prevent it from happening to other kids. For those of you who are not familiar with our mission, since its founding in 2008 the Henry Schueler 41 & 9 Foundation has raised more than $1 million to support our mission of advancing research to conquer the medical challenges of pediatric leukemia, specifically Hypodiploid acute lymphoblastic leukemia, the leukemia Henry was diagnosed with, and fungal infections such as Mucormycosis, the infection which took his life, that patients are susceptible to when undergoing treatment. We have established strong partnerships with medical pioneers at leading institutions such as Dr. Charles Mulligan of St. Jude’s Children’s Research Hospital; Dr. Steven Hunger, Chief of the Division of Oncology and Director Center for Childhood Cancer Research at the Children’s Hospital of Philadelphia; and Dr. Thomas Walsh of New York Presbyterian/Weill Cornell Hospital. They are among the world’s finest doctors and researchers, and as some of you were privileged to learn last month when we hosted a dinner for them, caring and dedicated persons. The monies we raise here tonight, and from our upcoming Cycle for a Cure ride from Chicago to Milwaukee, slated for June 23rd this year, and the Inaugural Henry Schueler Golf Tournament to be held on August 4th at White Pines, all go toward direct medical research and projects led by our team of experts. This direct funding of research, unlike foundations with significant administrative structures, enables us to make a disproportionately positive impact on research advances and educational initiatives like the first International Conference on Mucormycosis which we held in 2010, and will again this November, which led to the publication of the most comprehensive medical and scientific journal ever prepared on this devastating fungal infection. And it has allowed us to fund the first Genomic Analysis of the subtype of leukemia that Henry had, which led to major new insights into the disease and uncovered new, completely unexpected findings which have already had true life-changing and life-saving implications for patients and their families throughout the United States and the world. You heard from one of those families that benefited from our work last year, a family whose oldest child is a senior at Loyola Academy. And while these advances have been significant and life-changing, our work is not finished and we still have more to do to make his wish come true. In October of 2007, after undergoing his 6th surgical procedure in 7 days to arrest the advance of his fungal infection, and still dealing with the ravages of his leukemia treatments, we were at his bedside when Hank’s doctors told him that they would discontinue his treatment and send him home to live out his remaining days. And despite his suffering, in spite of the adversity he faced, he told them in true Hank fashion that if he was down to his last breath, he would take 20 more. And he did. And later that month when he did come home, and though still very sick but showing signs of improvement, he looked me in the eye when I was wavering and told me, “Stay Strong Dad, we are going to beat this thing.” The consummate leader even when things looked hopeless. Hank never quit a game early or gave up in the face of adversity. In his memory, and with your help, we will continue to carry on this mission to find out why this happened to Hank, so others may live. So raise a glass tonight to Hank and all those other children whose lives were cut short by cancer. Remember Hank as you recall him, with a smile on his face and yours. He would like that. And know his spirit will continue to live on in others who knew him, and inspire others who did not, to bring his living wish to fruition. Thank you again for your support! We look forward to next year! 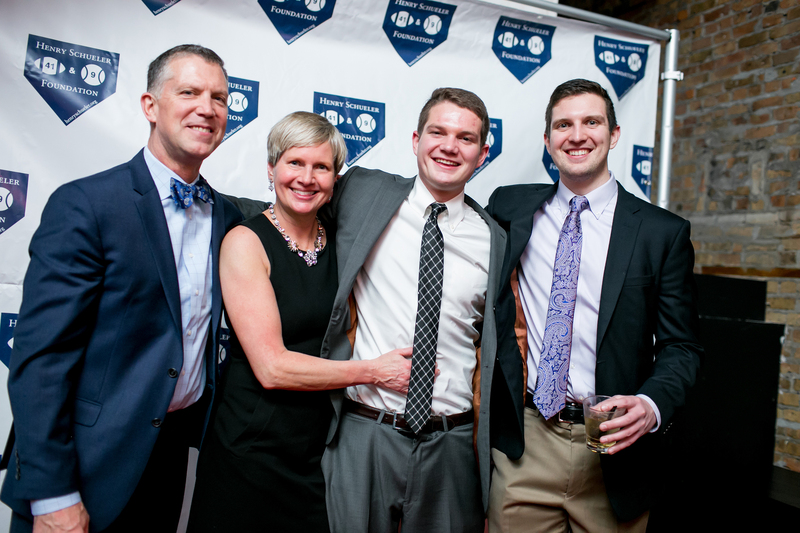 Eric Schneider, now a 19-year-old sophomore at the South Dakota School of Mines, in a tribute to Henry Schueler, recently decided to link his love of ultra-running into a fundraising effort to benefit the Henry Schueler 41 & 9 Foundation. It’s a poignant nod to the friendship he formed with Henry years ago. Running has always been an effective way for Eric to stay active and deal with stress and he expanded his interest to include ultra-marathons, which are any races longer than the traditional 26.2 mile marathon length. “Once I completed my first 108-mile run as a dare as a junior in high school, I was hooked,” he explained. This year, Eric decided to train for August’s “Lean Horse 100 Mile” race in South Dakota and said he wanted to make it truly special by attaching a Henry Schueler 41 & 9 Foundation fundraiser to it as a nod to his friend. He started a CrowdRise online fundraising page, spread the word on Facebook and Twitter and asked friends and family to reach out with support. His effort was met with incredible success, and while Eric is still tallying up the total donations, he expects to present the Foundation with a check for approximately $2,200. When thinking about what to choose for his Eagle Scout project, candidate Aaron Williams had much to consider. He knew he somehow wanted to give back to the Wildwood Community in which he lives, but wasn’t sure how. He finally decided on the Henry Schueler project because he and his friends have played on the field for years and knew that the restoration would make a noticeable improvement for years to come. He also learned of the strength, courage and determination that Henry displayed while battling his hypodiploid leukemia diagnosis. This project would both pay tribute to Hank and give back to the Wildwood Community by helping to restore the bleachers in the dugouts of Henry Schueler Field. 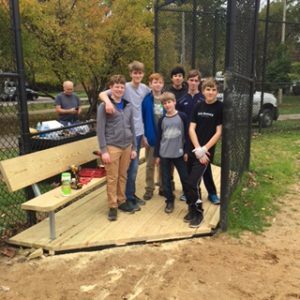 With the help of Bob Arlow and Michael Lanigan from the Chicago Park District, the boyscouts removed the old dugout bleachers, dug trenches for new moorings, installed new wooden planking and then erected new bleachers over the course of several weekends. Boy Scout Leaders, including Kevin Casey, Steven DeLaCruz, Bill Kolodziej, Dan Pucirello, Gail Schneider and John Williams, supervised the project. Aaron was in charge of organizing the daily work load ensuring other boy scouts were both busy and organized. The boy scouts who assisted in this project are Michael and Declan Fitzpatrick, Patrick Khun, Chris Perry, Joshua Russell, and Charlie and Ben Williams. Neighborhood Volunteers included Conor Farrell, Michaels Stevens and Hank Wagner. This project could not have been successfully completed without all of you. In addition to the restoration of the dugouts, a re-dedication ceremony is planned. Other improvements will include a new scoreboard and a mesh tarp on the backstop. The spring ceremony will be planned prior to the official opening of the 2017 baseball season.